Concord Police are seeking the identity of a man who they say snatched a purse from a 93-year-old woman and a 64-year-old woman on Sunvalley Blvd. in Concord on Friday at 4 p.m.
Police say during the commission of the crime, the 93-year-old woman was knocked to the ground. She remains hospitalized with significant injuries. 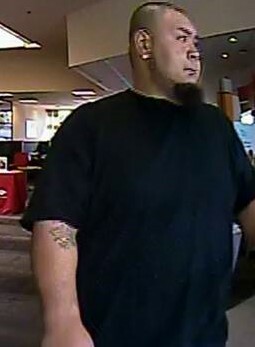 Witnesses described the suspect as a Pacific Islander male, 30-years-old with a bald head and heavy build. He is believed to have a tattoo on his right forearm and “gauge” type earring(s). He was last seen fleeing the area in a white sedan, which is believed to be a Chevrolet Malibu, according to police. 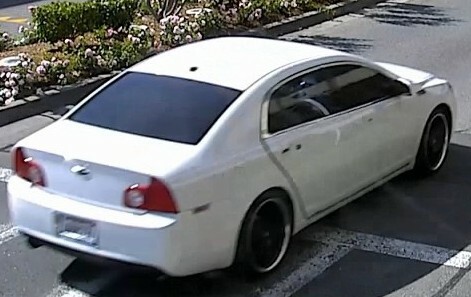 Detectives were able to locate the above surveillance images of the suspect and the suspect vehicle, police said. 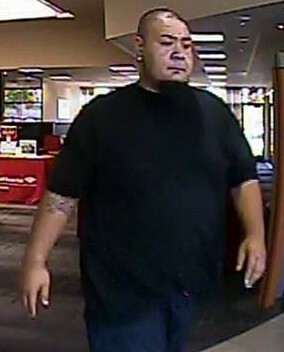 If anyone has information about this suspect, please contact Detective Mahan at (925) 603-5817. Those wishing to remain anonymous may contact the anonymous tip line at (925) 603-5836. He should be executed on site. And then beat him some more. Pit of snakes. Then beat him again. Scum. I hope they catch catch him and put him away for a long time. I hope the lady recovers. 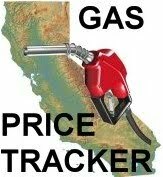 Welcome to California home of soft on crime progressive liberal politicians. Cartman knows what needs to happen. Can’t the PD make out the license plate?!?!? I’m going to assume he went to the mall with intentions of robbing someone, so he probably took off his license plates or covered it with a dealer tag..
Back to Jail for him. The Mall should high quality cameras (8k) to be able to read all license plates that come in and go out of their parking lots, or have dedicated licnese plate readers. If not shame on them. Great idea! Unfortunately, we live in California. There would be immediate protests against Sun Valley. They would be internet villains within an hour! Disgusting! Can’t wait to hear they caught the SOB. Hopefully the news stations show this picture. Someone knows who he is. What a piece of garbage. I hope that the woman is going to be ok. Karen will hit him at some point. His parents should be proud of his contribution to society. He’s gonna need a really, really big disguise. What’s happening to Concord? The mall needs more security. That big guy beating up on a 93yo woman? Check Monument Blvd, scumbag central. >> Karen will hit him at some point. Sunvalley should have license plate readers. Imagine how many cars would set-off alarms! Pick on someone your own size @sshole!! Sick of garbage punks like this. I wish there was still a way to publicly stone scumbags who prey on others to death! Can they run the license plate number to see if it matches? What a coward. He really just a little boy that thinks he’s a tough guy. I bet he’s the first one crying for his mommy when it really counts. Big brut, picking on a 93 y. o. lady. Out there grabbing old women’s purses and running away. Put a 93 year old in the hospital, likely with broken bones. Wow, what a toughy. The best idea I’ve read here is get his picture on every TV station. I think this guy is the type who may well kill someone. What a terrible man! Prayers for the older lady! I am so sorry! Fool does not know which side of his lip to grow his mustache on. Please advise us when this idiot is apprehended. Deets, pls. Waiting for my jury notice! The level of a serious crime is enhanced when it involves a senior citizen. He should be carrying a tooth brush because he will be caught and severely punished for these cowardly acts. One more reason to shop online. If the City of Concord wants SunValley Mall to survive they need to figure out a way to keep the shoppers safe from thugs like this. Someones mom, grandma,sister etc went to the mall to get out, I bet she probably can’t cause of her age, so she was really looking forward to this outing, I travel the bay pretty often I really hope the police are able to catch him first, there is no reason at all to injur an elderly lady then rob her, that is the scum of the bottom of the barrel, right there with child molesters.i really hope the lady is ok and the cops get him before the general public does. If the person responsible for this happens to read theses comments, do yourself a favor turn yourself in or do yourself in. My goodness – a 93-year-old should be able to feel perfectly safe at this mall – thank you for showing his photo – let’s find him and then let the system punish him – and yes, I believe it will. And we need to take our local mall back – I was there this weekend. This mall is far from perfect – but it is still a very decent place to shop!!!! A fall like that can be life-threatening for someone that age. I sure hope she didn’t break any bones. So hope she is ok. He should be essy to catch. He likely went straight to the nearest buffet. Generally, the Polynesian people honor and care for their elders. I’m sure there are some Polynesians out there that know exactly who this person is, and hopefully their cultural pride will kick in and he’ll be dealt with not only by the law, but by his own people. There are social norms that even bad guys won’t allow to be broken, and certainly pushing down an elderly woman crosses that line. I’m hopeful that his brothers, sisters and cousins will deal with him just prior to calling the police and letting them know where he can be found. He embarrasses and shames the whole culture, and that’s not who they are. We as a species are doomed. May as well redact the words “empathy” and “sympathy” from the dictionary. WTF is wrong with people? What’s up with missing door handles on the car? Now imagine if those two victims had concealed carry permits…. Yes imagine the 93 yo lady shooting in a crowded parking lot at the fleeing car. Can anyone identify him from that tattoo on his right forearm? I bet he will be found within a few hundred yards of a buffett. It takes a special type of waste of skin to assault people let alone old woman. Hope he gets his before the police find him. People keep saying LICENSE PLATE READERS. Do u really think idiots like that own a car never mind registering it in their name. They usually don’t even have a valid drivers license. And Concord wants to make pot storefronts legal and place them in shopping centers so more stuff like this would happen! Wonder what his mother and grandmothers think of their rotten adult child. Hope he is found and gets what he deserves in prison. How brave of this piece of garbage to attack, injure and rob elderly women! I don’t carry a purse anymore. I have a jacket (or vest) with zippered pockets. A clever business would be to create “decoy” purses. All sorts of humorous “contents” come to mind – monopoly money, a toy cell phone, a “what me worry” fake license, fishing lures, a can of cat food – you get it. I hope the elderly woman is able to recover. What a disgusting human being he is and that’s being kind. I hope he gets caught and publicly shamed. I hope the elderly woman is able to recover. What a disgusting human being he is and that’s being kind. I hope he gets caught and publicly shamed. Prayers go out to the elderly woman. His name is Otto Halafihi. I called it into the tip line as well. The suspect has been arrested. Otto Halafihi, age 29, turned himself in to Patterson police. Concord PD has him now. Thank You for posting that good news.